Created by myself under circumstance to devious to divulge, The Midnight Stranger was brought to life by the talented artist and animator Jason Kruse. 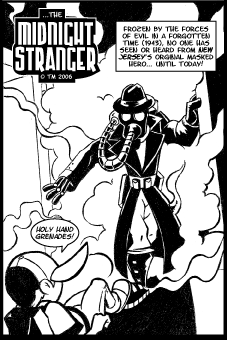 The Midnight Stranger was originally featured as a back up story in Mark Grimm. Drew Husosky guest penned the fourth installment of the series.